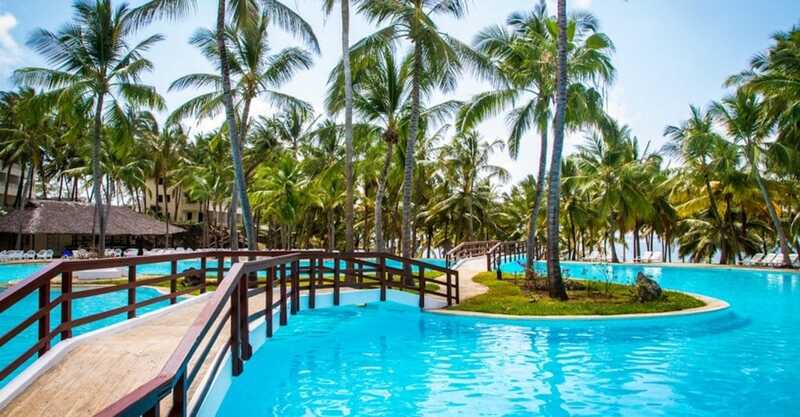 If you’re heading to the East African Coast of Kenya, Mombasa, you’ll likely want to spend some time on a nice beach front hotel in Mombasa, lounging by the pool or on the warm sands beaches of the Indian Ocean taking park in some water activities or just getting your tan on. 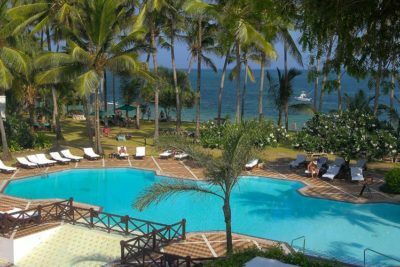 When people think of the Kenyan coast, Mombasa comes to mind first but there are 6 region on the Kenyan coast that are popular holiday spots. They are as below. 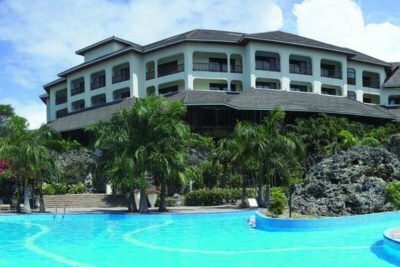 A good number of Mombasa hotels are perfectly located along the beach. Most have long beach fronts with no crowds. From the rooms you will have great views and easy access to the beach. 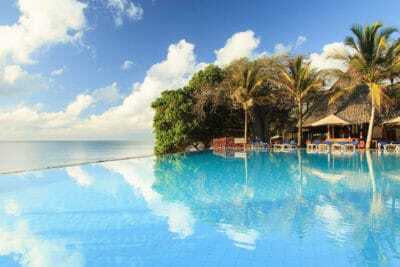 We have visited many hotels in Mombasa, tested the service, food, pool and all the things that mater and our list below covers some of the best hotels in Mombasa that your be considered for holidays in Mombasa. So if you’re planning a holiday in Mombasa and need a place to start, you are on the right page. 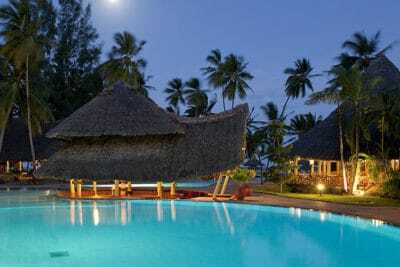 Get inspired and book your hotel in Mombasa with us. 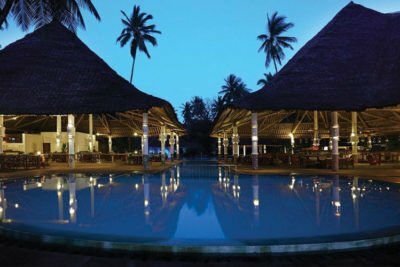 We’ve ranked the top hotels in Mombasa based on unbiased reviews from our clients and from our visits to the hotels. Africa is known for its amazing wildlife, Safari, the big 5 and Savannah grassland. That is not all beautiful Africa has to offer. Hemming the continent’s stunning coastline is an assortment of beaches. Kenya has some of the top beaches in Africa thanks to the Indian Ocean. You can now rethink your family vacations in Africa. Instead of thinking Lions and Zebras, think bright Sandy shores and tall coconut trees giving Hawaii a run for her money. Mombasa is the only coastal city in Kenya. And it is home to traders and tourist from Africa, Europe, Asia as well as the Arabian peninsula, and always ready to welcome one and all with the trusted all time charm and very much steeped tradition and culture today as it was centuries ago. 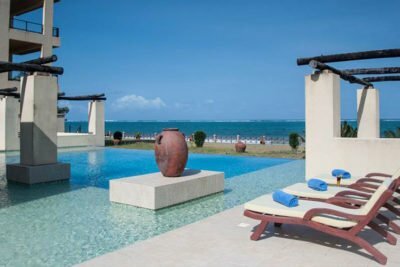 In Mombasa, Bamburi beach is a popular destination for sun lovers and sun seekers. 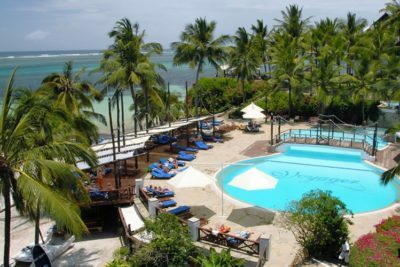 Usually calm and serene but during tourist peak season it is the go to place for holidays in Mombasa and with that comes a crowd of wabara (domestic tourists – mainly people not from the coast). They flood the beaches… so forget serenity; say hello to Mombasa beach boys who in their own right are an attraction with their sunny tinted dreadlocks, wit and knack for (self-taught) foreign languages. In Kenya when you say vacation + coast; everyone’s thoughts go to…. 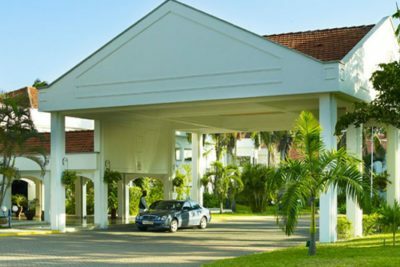 you treading the streets of Mombasa in a tuk tuk , you in one of our countless Mombasa Beach hotels or you in the beautiful sandy beaches of…..? You guessed it! Mombasa. 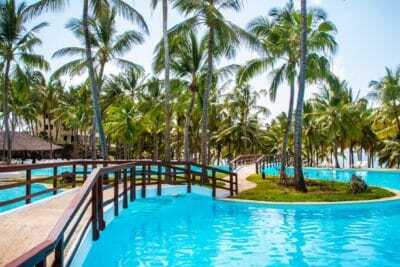 But Kenya’s Coast goes beyond Mombasa, even though the very name Mombasa gives an allure of tropical yumminess. 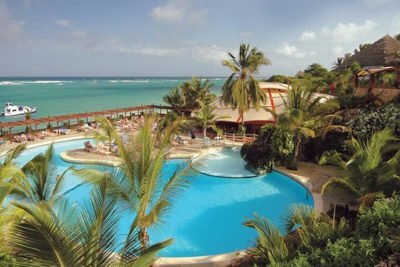 Nonetheless the Kenyan Coast has some of the top beaches in Africa, for instance Watamu is known for the vast turquoise waters which offer a paradise for water sport enthusiasts ranging from rafting to scuba diving, and Diani beach which lies in the South Coast is known for “Coast away from coast” feeling, utmost serenity and tranquility. Let’s not get ahead of ourselves, let us take a step by step tour of the Kenyan coast starting from North Coast going down to the South. Lamu Archipelago is the peak of Kenya’s North coast. Lamu Island is one of many islands in Lamu Archipelago. Some of the Islands that make up Lamu Archipelago are Lamu, Kizingitini, Chudwa, Pate, Iyabogi and Faza Island. 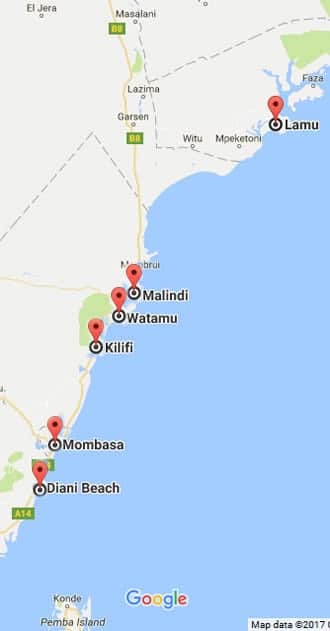 It takes 70mins to fly from Nairobi to Lamu’s Manda Airport and only a 7 minute flight from Moi International Airport in Mombasa (Once in Manda you take a dhow to Lamu Island). For road trip lovers it takes a whopping 5-7 hours (depending on road conditions) to drive from Mombasa to Lamu. The main means of transportation in Lamu Island is donkey and between Lamu Island and the other Islands is by boat. Here children can ran free in the streets with no fear of being knocked by car; thus making it a go-to place for family vacations in Africa. As a matter of fact there is only one car in Lamu Island which belongs to the D.C (District Commissioner). Lamu is considered the birth place of Swahili civilization. Drawing in historians, anthropologist, scholars and enthusiasts of the Islamic religion and Swahili culture from all over the world. Today it is a major reservoir of Swahili culture whose inhabitants have managed to sustain their traditional values as shown by a sense of social unity and solidity. Thus making it the ideal gateway for newlyweds. 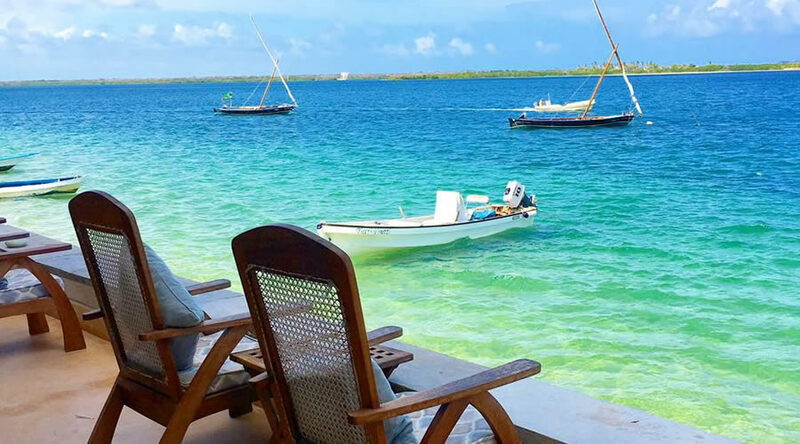 The population is predominately Islamic and as such tourists are advised to wear more than just shorts and bikinis, better yet immerse yourself in the Lamu fashion and get yourself a Derra. As you wake up to the breaking ocean dawn in Lamu you will appreciate the gentle nature of the rhythm of the city as the sights and sounds that you experience seem as if frozen in time, the call to prayer (Muazin) that has been heard through time immemorial is what literally brings the city to life and the fishermen getting ready for the day’s catch. If decor and ancient architecture is what you desire then look no further than Lamu’s narrow winding streets. 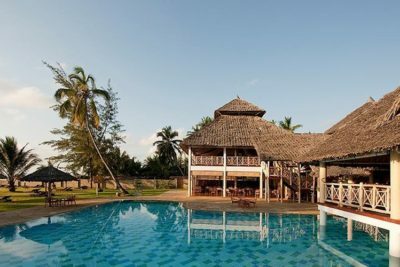 The Island is characterized by its unique Swahili architecture that is defined in intricate details not only on the white washed walls but the carved massive wooden doors that have been around for hundreds of years. The sight of them will take any antiques’ dealers breath away. After taking in the sights, sounds, and senses of this intriguing island locale coupled with leaping about in ocean, healthy appetites abound. And there is nothing like some grilled sea food special on the beach as you take in that refreshing ocean breeze, Lamu is known for its sumptuous mouthwatering dishes. Moving south of Lamu is Malindi. 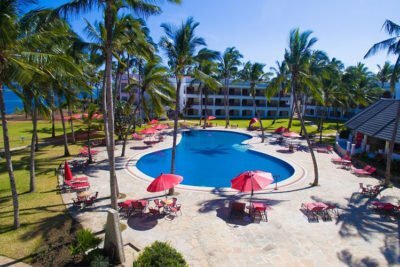 Malindi is a 65minute flight from Nairobi and about 5 minutes flight from Mombasa; however it is a 2 hours 16minutes bus ride from Mombasa. 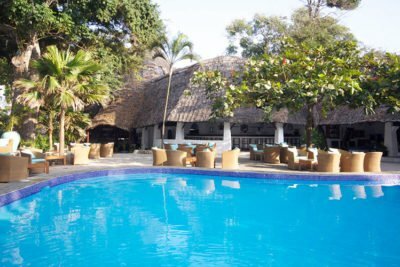 Malindi has some of our best hotels in Kenya’s North coast. A place where the past meets present and you can enjoy the comfort and benefit of modern day water sports such as sailing and wind surfing. Side by side with the coastal fisher men plying their age old craft under the watchful gaze of the Vasco da Gama pillar which was erected in 1498 by the Portuguese explorer. Due to the vast settlement of Italian tourists Malindi is said to have the best pizza in Africa. Get your preferred traditional ocean baked pizza made with a wide array of toppings and ingredients that are of your own particular taste and choice. 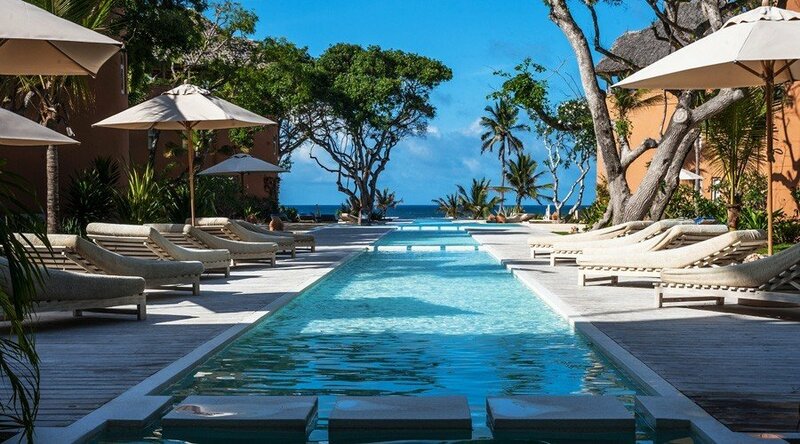 If you decide to take a 31minute drive south of Malindi you will reach Watamu. From Malindi airport the easiest way to get to Watamu is via taxi and not by bus. 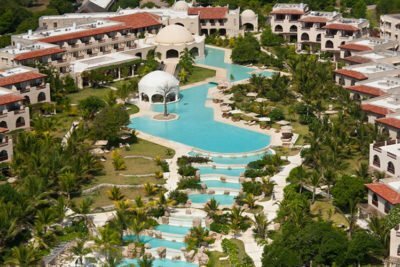 It is a 90min drive from Moi International airport Mombasa. Once in Watamu getting around is easy. There are taxis available locally at affordable rates, which can be booked via your hotel or from the staff at rental houses or can be called from restaurants. Bikes can be hired locally and are a fantastic way of exploring the surrounding area. You can also explore the local area on foot via the beaches or through town. 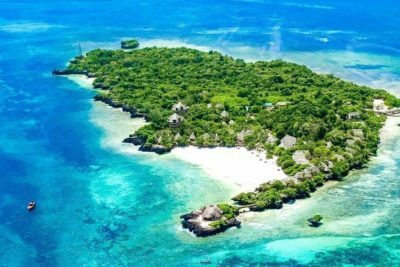 When it comes to Watamu one of Kenya’s best kept secret is out…. Watamu Marine National Park Reserve is Kenya’s first Marine Park. 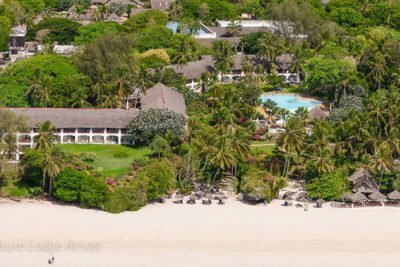 Blessed by long, white sand beaches (No better beach for a long stroll perfect for honeymooners) the Park is home to unique species both above and below the surface of the Indian Ocean, from coral reefs to coastal creeks to forests alive with birds milling along the shoreline. The beach is strictly protected as a turtle-nesting site so there are no noisy jet skis to spoil the peace and tranquility. 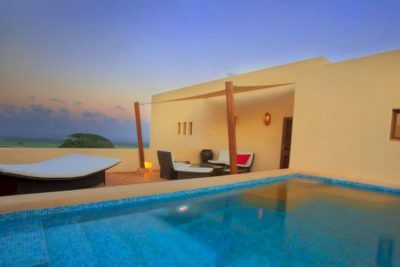 However, sailing, wind and kite surfing, scuba diving and snorkeling are amongst the attractions and there is a big game fishing base towards the northern end near our local small and medium sized hotels. Watamu has a number of resident expert guides who will be able to name many of the fish and corals encountered during your snorkeling. The most spectacular area for goggling is around the Coral Gardens, where species of Surgeonfish, Snappers, Parrotfish, Angelfish, Puffer fish, Butterfly fish, Triggerfish and many, many others offer an unbelievable display of variety and color. Several types for Ray and occasionally young (and harmless!) Sharks can also be seen. As well as the main Coral Gardens there are countless other interesting places to snorkel in the park, especially for the confident and intrepid snorkeler! There are many operators of glass-bottomed boats to take you goggling, usually to the Coral Gardens. For confident swimmers, goggling can be undertaken direct from the beach, but beware of tidal currents, especially near the entrance to Mida Creek. Mombasa’s Moi International airport is just a 45minute plane ride away from the Jomo Kenyatta International Airport in Nairobi; by road Mombasa is 8hours away from Nairobi. 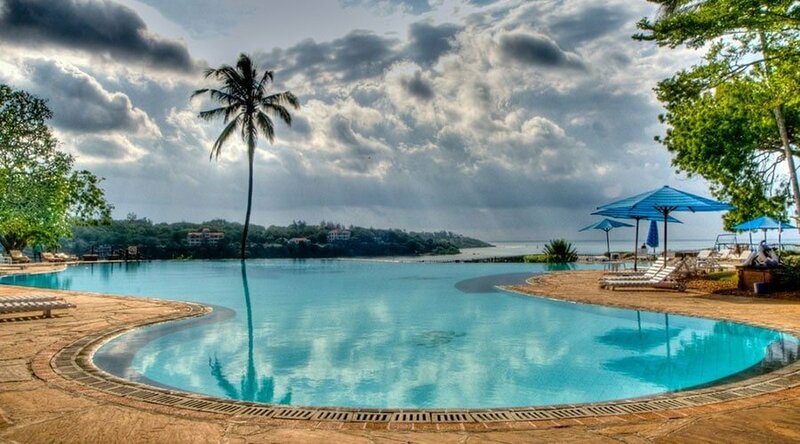 Despite the fact that Mombasa has been deemed the “Kenyan Coast” she has her charms. She will draw you in with seductive temperatures and lingering breezes. Then drown you in welcoming smiles and hospitable embraces. Mombasa is all about art, culture, tradition and religion and all these aspects have made a very major impact on the people of the Kenyan coast. With art being not just a form of expression but a language and it is viewed both a skill and a divine calling. 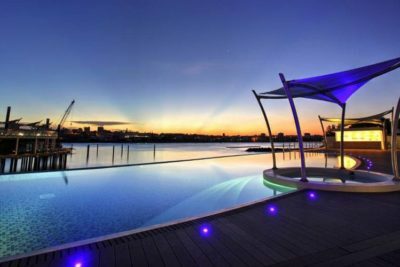 If you are one for the night life, Mombasa has something for you too, the clubs and casinos will give a new meaning to “party till the sun comes up”. 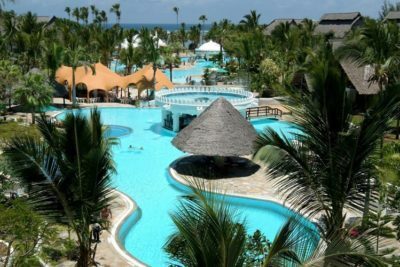 You can avoid the crowded beaches by getting your hands on our Mombasa holiday packages that are offered. This will allow you to get the most of Mombasa at an affordable rate. We end our tour of the Kenyan Coast in Diani. 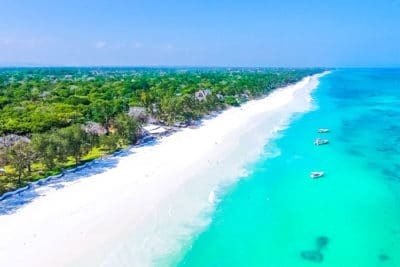 Picture perfect, with crystal clear, warm waters, shade, sun and powder white sand are some of the words used to describe Diani which is about 1hour 13minutes from Mombasa. The cheapest way to get to Diani Beach is by local bus-taxis (Matatus).From Mombasa town to Likoni Ferry then From the Likoni Ferry, take another matatu to Ukunda (30 kms). From Ukunda to Diani Beach, take another matatu about 5 kilometers. However there are direct flights from Nairobi to Diani which is 1h5mins. 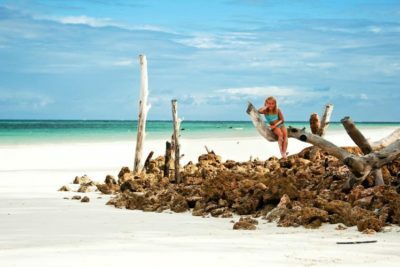 Diani Beach is one of the most un-touched Beaches on the Kenya South Coast and offers fabulous diving in Kenya South Coast. Snorkeling trips at Diani Beach are a must for those who love nature and would want to explore the Sea live. You can enjoy Diving and Snorkeling in Diani or at the nearby Kisite Marine Park at Mpunguti. Diving in Diani Beach is very safe as it is free of sharks. One can see Dolphins, pipe fish, lobsters, morays, turtles, and tropical fish. For the deeper dives, one can see groups of Blue Striped Snapper, Leopard sharks, Shovel of Rays, Trevally, Barracudas among others. Diani House Mombasa Kenya is close to a Kaya Forest for those who love to watch monkeys and in their natural habitat. 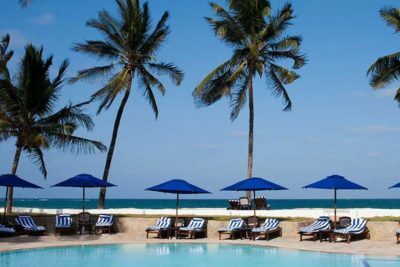 Diani has some of our best hotels in South coast. 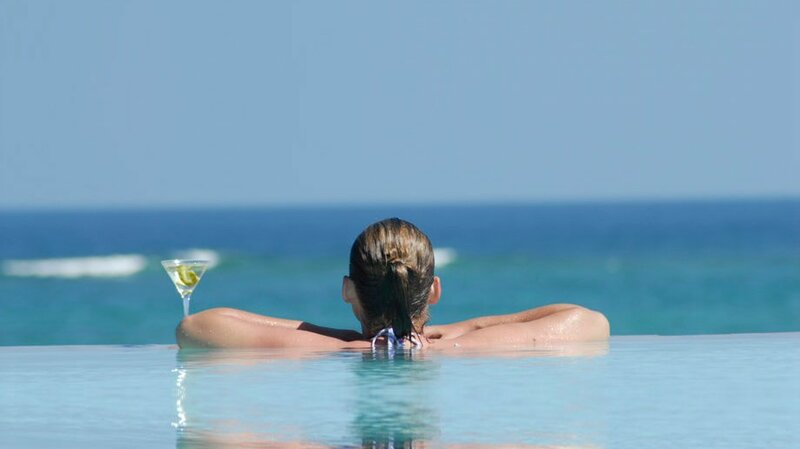 Enjoy exclusive accommodations in our array of luxury hotels, giving you a flavor of both worlds with their large private pools and guaranteed spectacular beach sunsets due to the ocean facing balconies and terraces. 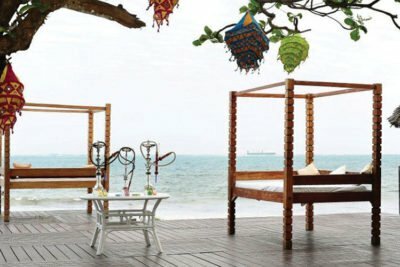 Get entertained with a little beach volleyball or a camel ride. So next time you are planning a vacation in one of the Top beaches in Africa stop by Kenya’s Coast. And remember that it is more than just Mombasa.